London, United Kingdom – August 10th, 2017 – Legendary football game designer Jon Hare’s Tower Studios in partnership with Finnish studio Combo Breaker, today announced that Sociable Soccer, Hare’s latest fast-paced, arcade take on the beautiful game, will launch in summer 2017 on Steam Early Access with Xbox One, PlayStation 4 and mobile platforms to follow. To celebrate the announcement Tower Studios have released a new Steam Early Access trailer that can be viewed on Youtube. “Sociable Soccer is a super quick, adrenaline soaked football action game, an unholy alliance of Guardiola’s tiki taka and Klopp’s gegenpressing, where ultra sharp passing and shooting can easily be thwarted by a well timed slide tackle.. something like Rocket League in boots”, said Jon Hare, Designer and Director of Sociable Soccer. “After nearly two years in development we are excited to be launching soon on Steam Early Access. The game has a whole world of soccer already in place and online and offline matches are playing like a dream. As we sprint towards full commercial launch in late 2017 we invite gamers and football lovers to become part of our game changing, new sports franchise as we add new features, game modes and updates every few weeks”. ‘Godfather of football games’ Jon Hare, designed two of the biggest football franchises of the 20th century in Microprose Soccer and the genre defining Sensible World of Soccer, one of the 10 most influential video games of all time according to Stanford University. 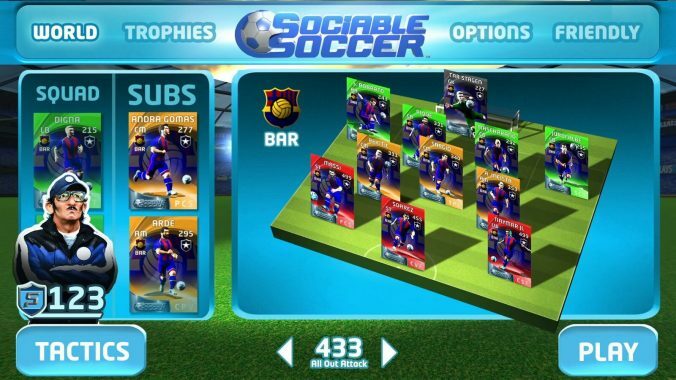 Faithful to his sports game pedigree Sociable Soccer features over 1,000 club and national teams from around the world and over 30,000 players, with 67 international football trophies to compete for and lighter friendly game modes including trademark custom teams. Beneath its sleek visual presentation lies a game of significant complexity with pinpoint controls and tactical depth. Easy to play and hard to master with single player, classic local multiplayer, online multiplayer and manager modes all supported. Sociable Soccer is a perfect blend of the instant playability of yesteryear with the power of modern technology. 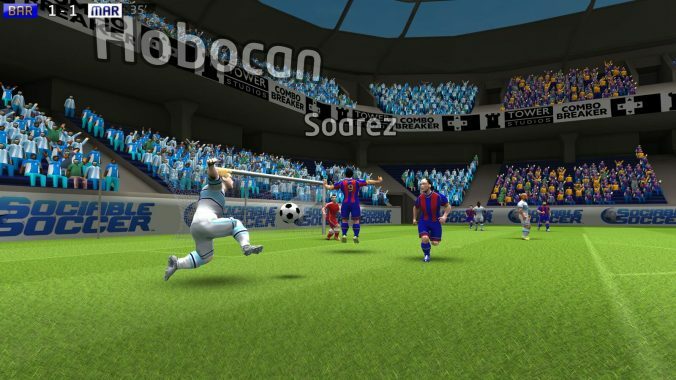 Sociable Soccer has been designed for modern technology from the ground up by a team of superstars from the European games development scene . 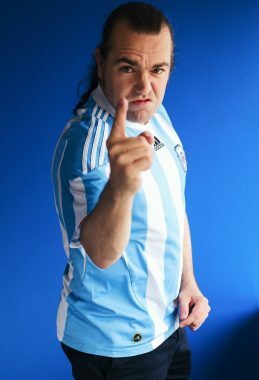 “A designer can only be as good as the team around him” commented Jon “I waited almost 10 years until I found a team good enough to make my next football game with and the team behind Sociable Soccer is a combination of the very best of British design, Finnish engineering and French art”. Indeed the combined portfolio of Jon and the Combo Breaker team in their various roles is staggering: Sensible Soccer, Cannon Fodder, Max Payne, Alan Wake, Tomb Raider, Angry Birds, Bike Baron, Tower Bloxx, The Walking Dead. The list goes on and on with over 20 international #1 games between them.